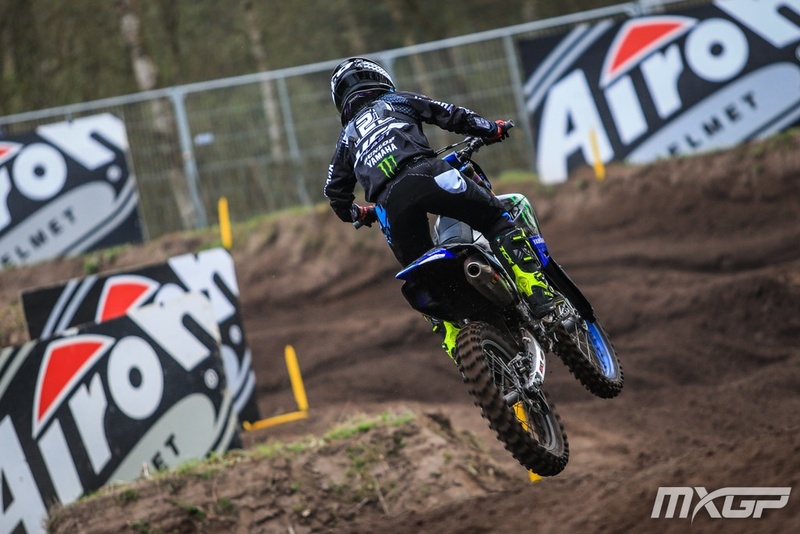 No new-comer to racing the shifting sands of Valkenswaard, Papenmeier has made significant progess from previous WMX GP at same venue in 2016. 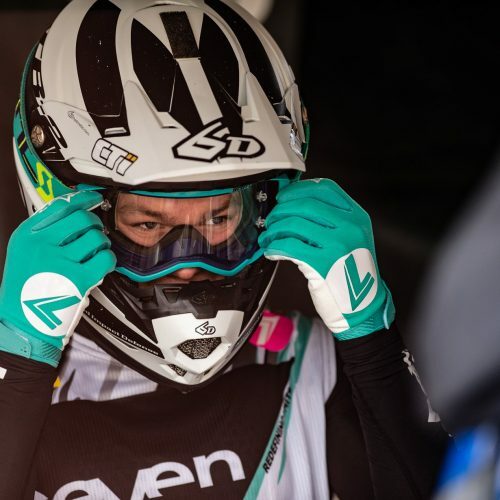 In fact, Larissa’s increase in lap-times from ‘016 is quite astounding: WMX Round 2 GP of Valkenswaard 2016 R1: finishing 6th at 27.16.807 some 2 minutes behind race winner Nancy Van de Ven at 25.47.623. Best lap time for Papenmeier: 2.15.451 and Nancy: 2.04.735. 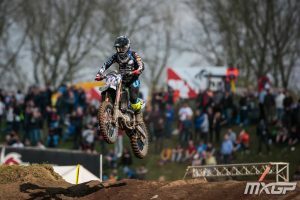 Move forward to 2019 WMX GP of The Netherlands: Papenmeier R1: finishing 3rd at 24.54.191 some 7 seconds behind race winner Courtney Duncan at 24.47.429. Best lap time for Papenmeier: 2.04.398 and Duncan: 2.02.672. 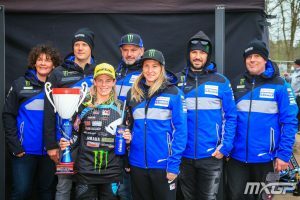 Few changes in between, moving to race under MX Fonta Yamaha Racing Team with WMX 6x Champion Kiara Fontanesi being main shift, along with switch of Brands to Yamaha. # 423: Honestly I didn’t really think about Qualifying. The first lap I had a really good lap already and that was enough. For sure if you are first people expect a lot so the pressure is higher. But for me it was important to just do good and save good points for the Championship. This is really important when you only have 5 rounds. 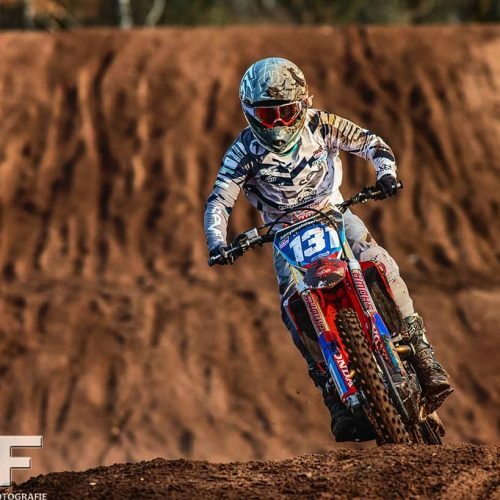 With WMX 5 Round Series testing riders to maintain focus, training, preparations in long week gaps between Rounds, Larissa has schedule sorted, sustaining confidence for gaining all valuable points on WMX standings. With Larissa’s goal ‘to become world champion!! 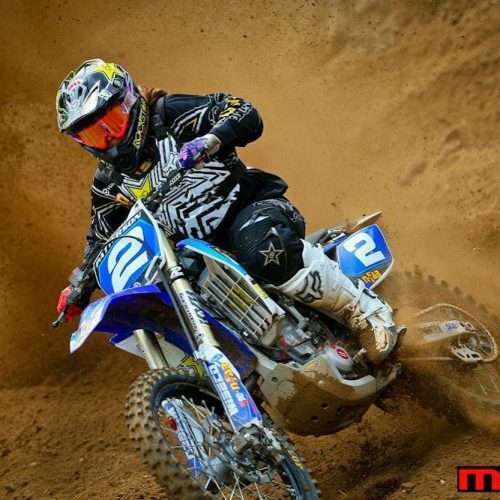 !’ focus now shifts to train for Round 2 Agueda, MXGP of Portugal– hard pack -one track surface Larissa likes. 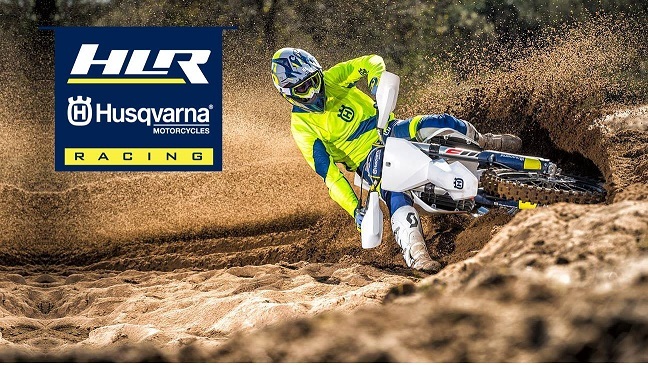 # 423: My main focus now will be to ride on hard pack tracks. Since January I just rode sand tracks as also the weather wasn’t that good in Germany. 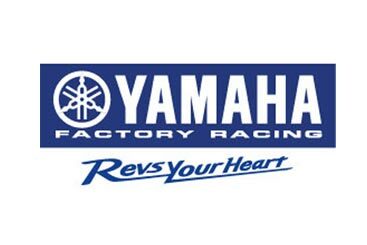 Can’t wait to be back on hard pack!😁 We will also be testing some more stuff in that break of 7 weeks. 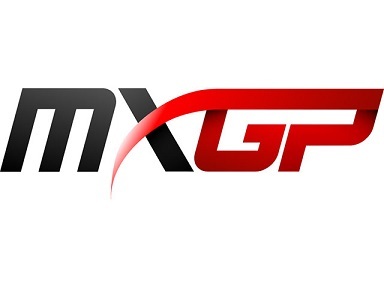 WMX Round 2, MXGP of Portugal May 19th.